WICO have a highly qualified human team and our own electrical service panel construction and assembly workshopwith all necessary for the construction and testing of electrical panel boards. Our services are not limited to the electric boards manufacturer, we offer a global service. Documentation review is is key to avoid future budgetary slippages..
After the definition of the project we proceed through the preparation of the electrical panels desing and every documentation needed to manufacture the electric panel boards . We are specialists at electrical panels designing with Eplan. Are defined from the design phase control protocols to ensure quality of the final product or electrical panel. We do at least three inspections in the different manufacturing process, including tests FAT (insulation, stiffness, ..) according to applicable regulation in the destination country (IEC, UL ..) . We could do additional studies (thermografies,study of land,… ) of the installation..
After the FAT proceeds we prepare As-Built documentation, making in it the corrections required to be equal to manufactured electrical panels. This documentatation is attached with the Factory Acceptance Testing (FAT) test results into the switchboards. We also attach the electrical panel CE certificate with the serial number. We handle the transport of electrical panel boards on domestic or international shipments, adapting the packaging for the type of transport and conditions required for proper delivery of swithboards. Improved service quality …..our daily goal. Customer service and continuous improvement in the quality of our products are some of the key points of our company’s growth in recent years and has made more and more customers trust us. All our products are manufactured submitted to severe quality controls. 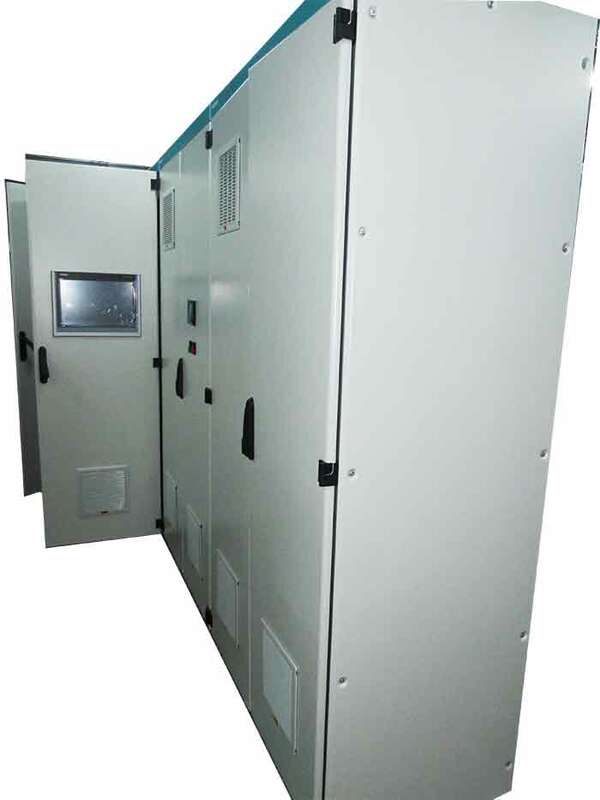 We manufacturer all types motor control center (MCC) cabinets for industrial applications up to 7000 amps. Power distribution boards up to 7000 amp. Fabricación y suministro del cuadro de control y potencia para 4 compresores de 75 y 30 kW y 6 cámaras de frío.